“I was the vice president of communications and Internet for Latin America. I found inside my soul what I was doing and the way I was doing it. Pushing projects and trying to drive change within an organization was not the best use of my skills, because my entrepreneurial skills and ambitions and drive were probably not the best fit for a corporate environment. So I decided to take a big leap of faith and take a deep breath and start my own company and it not a very easy thing to do,” Moschini said. That leap paid off as Moschini went on to become a successful serial entrepreneur and angel investor. Among her success stories, she founded the social media agency, Intuic. That firm handles public relations and social media needs for clients including Google and Twitter. Another of her companies, TransparentBusiness, recently won a PC World award as the Best Cloud Computing Solution for Enterprise. The common goal in Moschini’s companies is to have entrepreneurs, influencers and executives thinking creatively about leveraging new advances in web technology to boost their bottom lines. But as with the first wave of the Internet, Moschini is finding some companies are slow to get on board with how work culture is changing, especially for millennials. “Over the last two years, companies have been playing catch-up to understand where the consumers was, and the same will happen with the work market. Right now, millennials are 25 percent of the U.S. workforce, but in 2020, they will be 75 percent, and companies aren’t ready,” she said. With her latest startup, Yandiki, she continues to disrupt the traditional work culture by cultivating talent using the cloud. “I wanted to create opportunities for people from around the world to change the way they work over the internet which is something millennials truly appreciate. They want to collaborate, but they do it through finding face time, through video collaboration, through wikis. So I love technology. I love communications, and I love flexibility. So I wanted to create a company that will be fair for women, for millennials and for people in remote places, no longer where they live defines where they work,” Moschini said. Seeing women fairly represented in the technology sector is a passion for Moschini. It’s one of the reasons she’s been an angel investor in women-led businesses. It’s also a mentality she hopes to see reflected in Silicon Valley and beyond. Angel investors aid women in startups. One way Moschini is passing on her expertise is through Angel mentoring. Unlike venture capitalists, Angel investors tend to focus more on investing in the person and seeing the business succeed, rather than reaping huge profits. 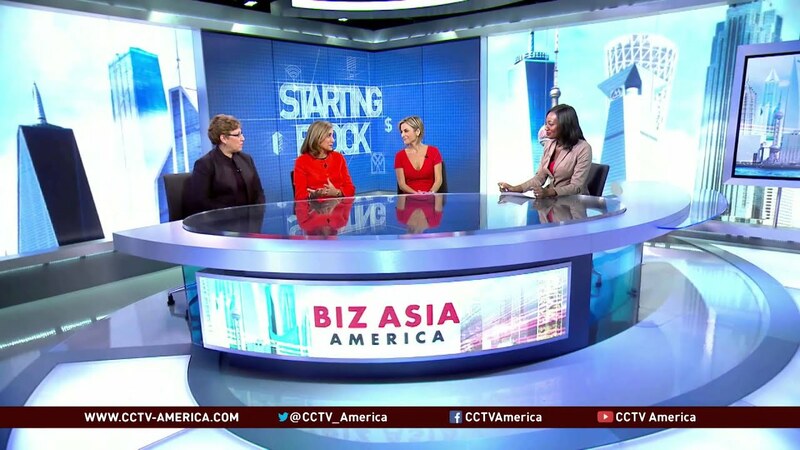 CCTV America interviewed a group of Angel mentors helping women navigate the world of startups.